Millions of adults struggle to succeed in the United States labor market. For these individuals—many of whom are women, minorities and immigrants—barriers to skill development and employment opportunities inhibit their economic security and mobility. This challenge – the employment opportunity gap – has stubbornly persisted, despite the best efforts of government, philanthropy, and the nonprofit sector. 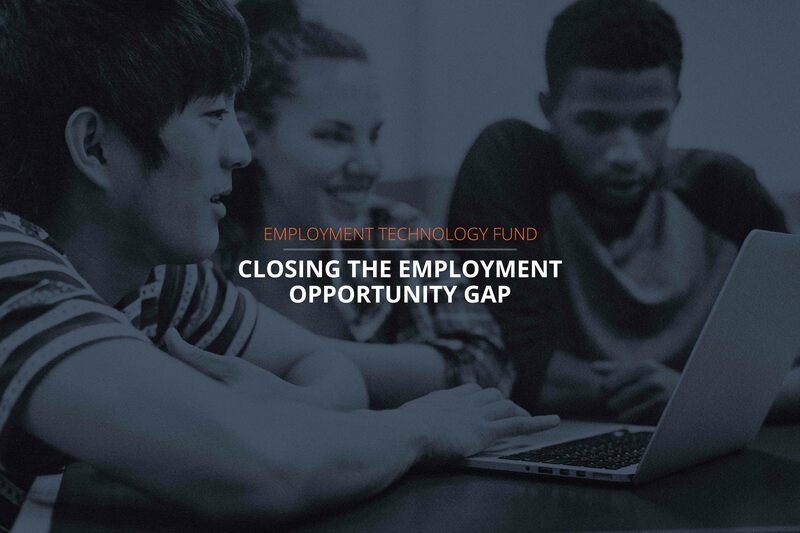 To address the employment opportunity gap, four leading foundations conceived of and provided the initial funding to The Employment Technology Fund (“ETF”), an initiative of the New Venture Fund. ETF is a US-focused impact investment fund targeting innovative tech-based solutions that support over 100 million adults living in America who struggle to find meaningful employment in the U.S.